The European Hygienic Engineering & Design group (EHEDG), the region’s leading advisor for food processing equipment manufacturers, users and legislators, a group whose goal is to stimulate greater Food Safety and quality through improved design. Ammeraal Beltech has been an active and participative member since 2011. The European Federation of Corrugated Board Manufacturers (FEFCO), a non-profit organisation that represents the interests of the industry across Europe while addressing a wide range of issues, from technical topics to questions of economics. Ammeraal Beltech has held a Sympathizer Membership since 2010. The United Nations Global Compact, the largest corporate sustainability initiative in the world, in which companies align their operations and strategies with ten universally-accepted principles in the areas of human rights, labor, environment and anti-corruption. By doing so, businesses can help ensure that markets advance in ways that benefit economies and societies everywhere. 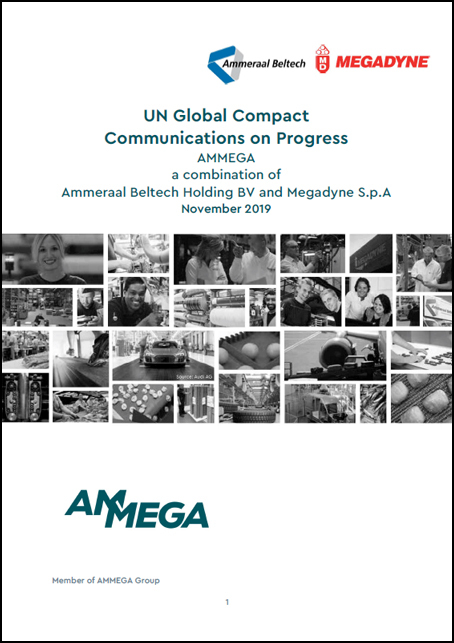 Ammeraal Beltech has been a UN Global Compact Participant since 2016. Click here for the latest UNGC report. The US organisation NIBA-The Belting Association, whose goal is to promote the common business interests of distributors / fabricators and manufacturers, as well as others involved in the industry. Ammeraal Beltech has been a NIBA member since 2010.